About a week ago I invested in the Magnitone Lucid in my favourite colour, blue. I bought it off the Beauty Crowd Pro website and when the box came I was so excited! 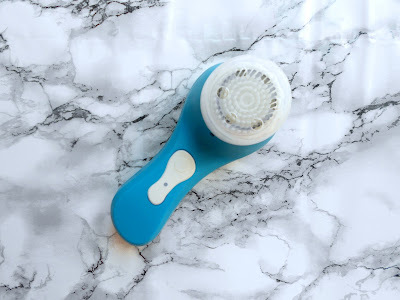 I have always wanted to try an exfoliating brush ever since I read (many years ago) about the Clarisonic and how much everyone loved it, except the catch was you could only get it in America, not handy for someone who lives in the UK. 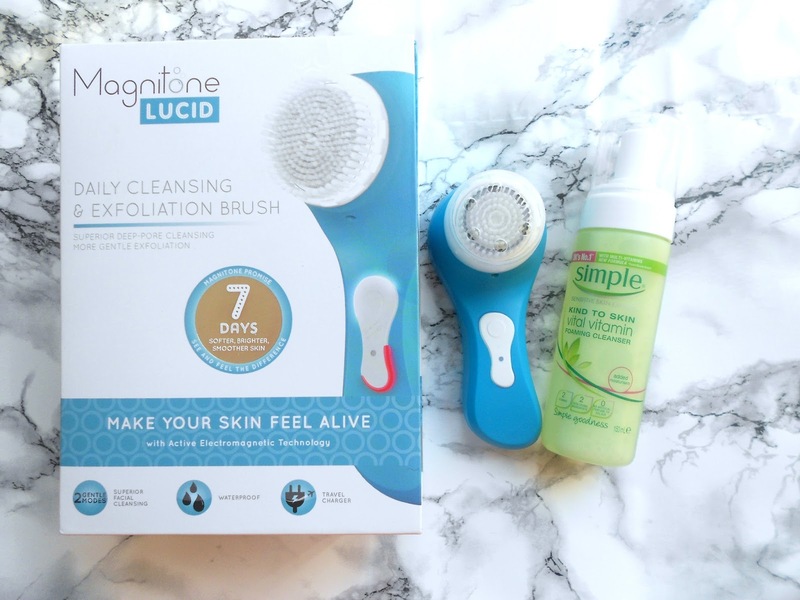 Magnitone make a range of exfoliating brushes including the Pulsar, Barefaced and the one I got the Lucid. The Lucid comes in 3 colours blue, pink and yellow and promises that in 7 days you will have 'softer, brighter and smoother skin' which I can tell you right now is a promise kept! I have been using my Lucid when I wash my face in the shower as the brush is fully waterproof, I find it works best with a foam cleanser such as this Simple one, but I have used it with Liz Earle's Cleanse and Polish and it worked really well. The instructions for use are really simple and tell you to section your face into forehead, cheeks and chin. There is a really great feature on the brush that lets you know when you should move on to the next section, after around 15/20 seconds the brush will stop and beep quickly signaling you to move on. This is SO handy as otherwise I probably wouldn't cover my whole face as after 1 minute of cleansing the brush automatically turns itself off so you don't damage your skin. After using this, I am always so impressed with the results and how my skin feels, it feels like it has been moisturised already because it is SO smooth! Moving onto the brush itself, it is really compact and easy to hold due to it's sleek design and the colour is amazing, it's such a vibrant blue which I love. The brush has 2 settings deep clean and sensitive. You simply push the on button once for deep clean and twice for sensitive clean (the light will also turn on to tell you you're on sensitive mode) and three clicks turns it off. The bristles on the brush head are really soft and and lift up dirt hidden deep down in your pores to reveal a healthier and brighter complexion. 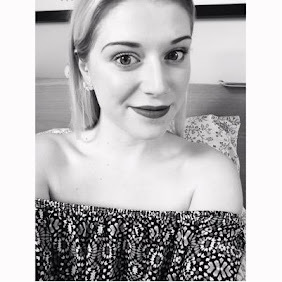 I had a bout of really dry skin on the end of my nose, so I used the Magnitone on the sensitive setting to really exfoliate the dead skin away gently and after 2 days my nose was back to being smooth and there was no evidence of any dry skin, which I thought was amazing! Overall I think this was a really great investment, my skin feels a lot smoother and I haven't seen any spots or acne start to appear the whole time I have been using it, which is something I really struggle with. My skin feels and looks so much healthier now and I will continue to use this for a very long time, it is a great addition to my skin care routine. Now on to the exciting stuff, the giveaway! I am giving away a blue Magnitone Lucid to one lucky person. A brand new, unopened, super shiny Magnitone, what is more exciting than that! 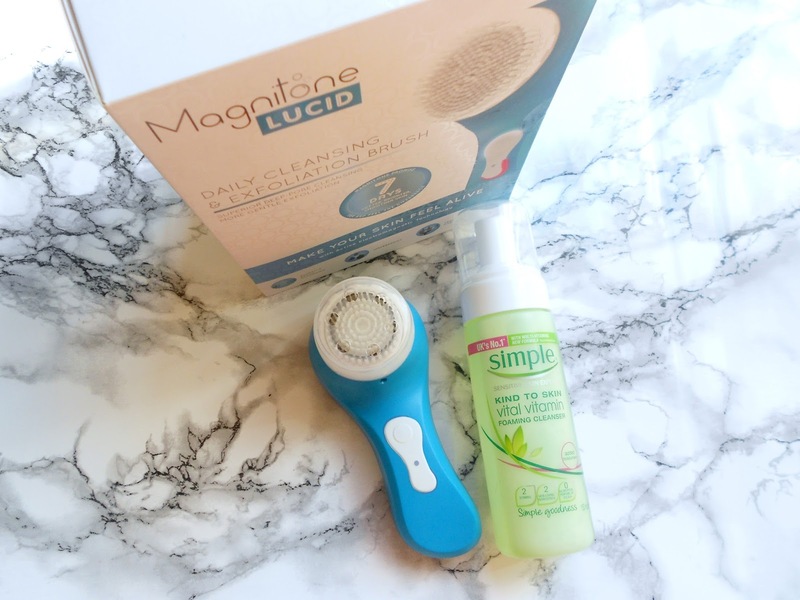 The box includes the dual mode Magnitone Lucid brush and head, wireless travel charger, full usage instructions and a 12 month warranty card. 2) You can only enter once (sorry) apart from you can tweet about it once a day! The giveaway will end on 18th October 2015! You won't have to pay a penny either, not for the Magnitone or the postage & packing, i'm so nice to you guys! So if you want to be in with a chance of winning this amazing prize, enter below! 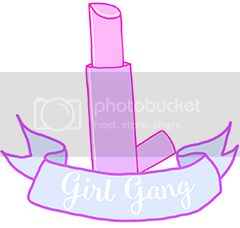 I really wanted to buy one of those brushes as I have terrible skin :c Great post!